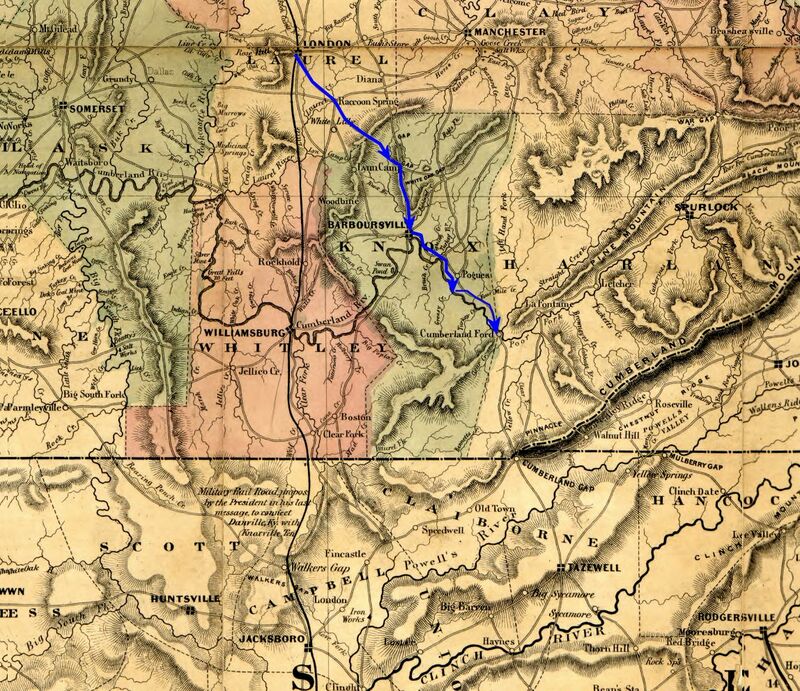 February 27th we left Camp Cumberland and marched up to the Ford, crossed over on the ferry to the south side. Three companies were without tents that night. The weather was damp and chilly, and in the night about six inches of snow fell. The boys generally slept in pairs and in chilly nights like this spooned pretty close. 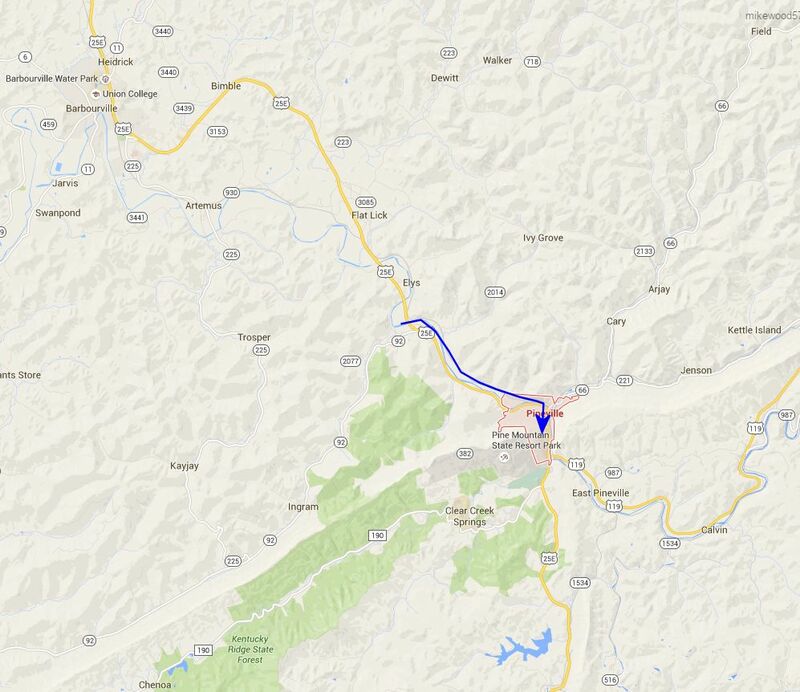 Moved 6 [probably 4] miles to Cumberland Ford. Crossed the river & went into camp on a level piece of ground near Pine Mountain Gap. Period map showing the approximate route of the 16th Ohio on its march from Camp Cumberland, along the Cumberland River, four miles northwest of Cumberland Ford, to Cumberland Ford (Pineville), Kentucky.